Call 405-283-2828 to schedule your first appointment. Your ability to hear can greatly impact your overall quality of life. Whether you’re encountering a hearing problem for the first time or have been seeing a hearing specialist for years, if you feel that your hearing isn’t what it should be, come to Miracle Ear. As an established hearing center in Moore, OK, our goal is to help you reach the point where hearing isn’t something you have to think about, but rather, it’s something you simply do naturally. 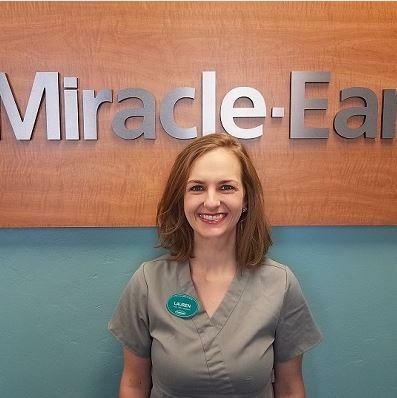 We value our patients at Miracle Ear. That’s why we go out of our way to offer thorough, caring service that produces results. Our friendly, dedicated hearing center staff is trained to diagnose hearing conditions and recommend solutions for improvement. And thanks to our flexible hours and convenient appointment scheduling, getting help with your hearing doesn’t have to be a chore. For more information about our Moore, OK hearing center or to see how we can help you, call or visit Miracle Ear today. I have 4 years office management experience. I love our patients, and getting the opportunity to play a small part in helping them stay connected to the world!